Our wood pelletizing machine or wood pellet press is a new kind of pellet mill special for wood sawdust in pelletizing plant. It can also apply to other biomass materials like the stalk, straw, peanut shell and so on. For this kind of pelletizing machine, the output volume is high, energy consumption is low and the operation is convenient. Pelletizing plant or wood pellet plant is a set of complete pellet mills that used to make pellets on large scale for industrial use. 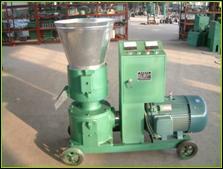 Apart from pelletizing machines, the whole pelletizing plant also includes some other auxiliary machines. 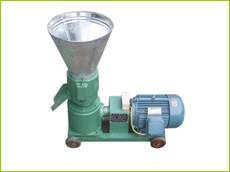 hammer mill, crusher, dryer, cooler, separator, packing machine will be needed in pelletizing plant process. All models above can process both animal feedstuff and wood pellet from sawdust. 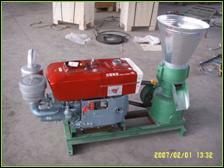 But Smaller models are not so suitable for processing wood pellets, instead you can use them as feed pellet mills. NOTE: All of our pelletizing machines have got the CE Certificate, and all above models can make pellets for animal feed as well as wood pellets for fuel. If you would like to know how to make wood pellets and the pelletizing plant, you should look at the following pelletizng process. Firstly, if the raw material is larger than 1/4", it should be broken down in the hammer mill to a smaller particle size. Secondly, dry the materials in a dryer up to 600 degrees Fahrenheit to get rid of moisture. The favorite pelletizing moisture content is about 13%-15%. Third, put the substance through a pellet mill or press. The machine will squeeze through a die that has holes. Then pellets will be produced. Keep high pressure on the pellets. Make sure the press machine remains at a high pressure so it will ensure the wood to soften lignin (a natural bonding substance) and hold the pellet together naturally. 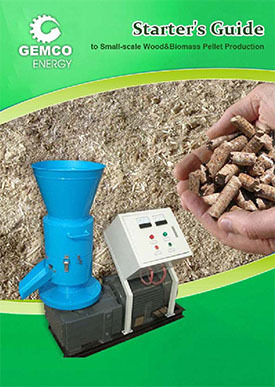 Then, The temperature and moisture content of wood pellet is usually much higher after pelleting. In this situation, you need a cooler to reduce pellets temperature and moisture content for better storage purpose. Last but not least, you need a packing machine to pack your pellets to stop them from getting damp for better storage.